The Abydos Dynasty is hypothesized to have been a short-lived local dynasty ruling over parts of Upper Egypt during the Second Intermediate Period in Ancient Egypt. The Abydos Dynasty would have been contemporaneous with the Fifteenth and Sixteenth Dynasties, from approximately 1650 to 1600 BC. 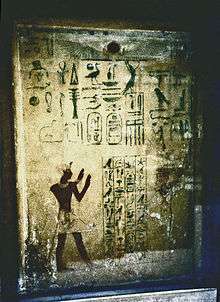 The existence of an Abydos Dynasty was first proposed by Detlef Franke and later elaborated on by Kim Ryholt in 1997. Ryholt observes that two attested kings of this period, Wepwawetemsaf (Wepwawet is his protection) and Pantjeny (He of Thinis), bore names in connection with Abydos: Wepwawet being an important Abydene god and Thinis being a prominent city a few miles north of Abydos. Additionally, Wepwawetemsaf, Pantjeny and Snaaib, another king of the period, are each known from single stelae discovered in Abydos, which could be a sign that this was their seat of power. Finally, Ryholt argues that the existence of an Abydos Dynasty would explain 16 entries of the Turin canon at the end of the 16th Dynasty. 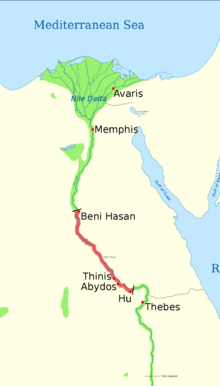 The Abydos Dynasty may have come into existence in the time lapse between the fall of the 13th Dynasty with the conquest of Memphis by the Hyksos and the southward progression of the Hyksos to Thebes. The existence of the dynasty may have been vindicated in January 2014, when the tomb of the previously unknown pharaoh Senebkay was discovered in the southern part of Abydos, an area called "Anubis Mountain" in ancient times. If Senebkay indeed belongs to the Abydos Dynasty, his tomb might signal the royal necropolis of this dynasty, adjacent to the tombs of the Middle Kingdom rulers. The existence of an Abydos Dynasty is not agreed by all scholars. 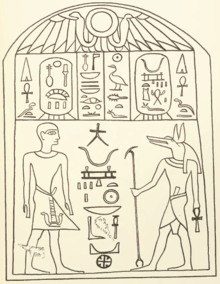 For example, Marcel Marėe observes that a workshop operating from Abydos and producing stelae for two kings associated with the Abydos Dynasty, Pantjeny and Wepwawetemsaf, also likely produced the stela of Rahotep of the 17th Dynasty. Thus if the Abydos Dynasty did exist, this workshop would have been producing stelae for two enemy dynasties, something which he judges to be rather unlikely. It remains unclear however, whether these two dynasties ever coexisted at any one time: for instance, in Ryholt's reconstruction of the Second Intermediate Period, they are separated by c. 20 years. Countering the argument in favor of the Abydos Dynasty based on the tomb of Senebkay, Alexander Ilin-Tomich argues that certain Middle Kingdom pharaohs, such as Senusret III and Sobekhotep I, also have their tombs at Abydos, yet nobody places these kings into an Abydos-based dynasty. At the opposite, he wonders whether Senebkay might be a king of the Theban 16th Dynasty. If the Abydos Dynasty was indeed a dynasty, the seat of its power would probably have been either Abydos or Thinis. 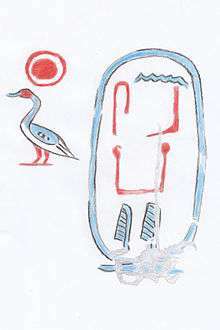 A possible graffito of Wepwawetemsaf was discovered by Karl Richard Lepsius in tomb no. 2 at Beni Hasan, about 250 km North of Abydos, in Middle Egypt. If the attribution of this graffito is correct and if Wepwawetemsaf did belong to the Abydos Dynasty, then its territory might have extended that far north. Since the dynasty was contemporaneous with the 16th Dynasty, the territory under Abydene control could not have extended farther than Hu, 50 km south of Abydos. 1 2 3 4 5 6 7 Ryholt, K.S.B. (1997). The Political Situation in Egypt During the Second Intermediate Period, C. 1800-1550 B.C. Museum Tusculanum Press. p. 164. ISBN 8772894210.